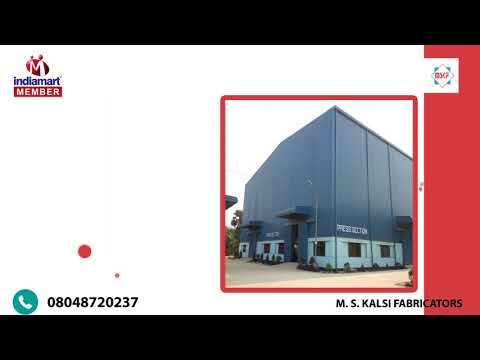 M. S. Kalsi Fabricators, the dominant manufacturer and Service Provider firm opened its doors in the year 2005 to exhibit an exceptional performance in providing high quality Aluminium and Prefab Products. Our strong domain expertise equips us to provide wide spectrum of products, including Aluminium Ladders, Polycarbonate Canopy and Automatic Door System and many more. In addition to this, we also provide Fabrication Services to our valuable clients. With a mission to stay on top, we invest substantial amount in leveraging the prevailing technology that hone our skills to bring forth quality products featuring comprehensive benefits of ease of installation, weather proof performance, superior water resistance, remarkable fire retardant properties and maintenance free life.